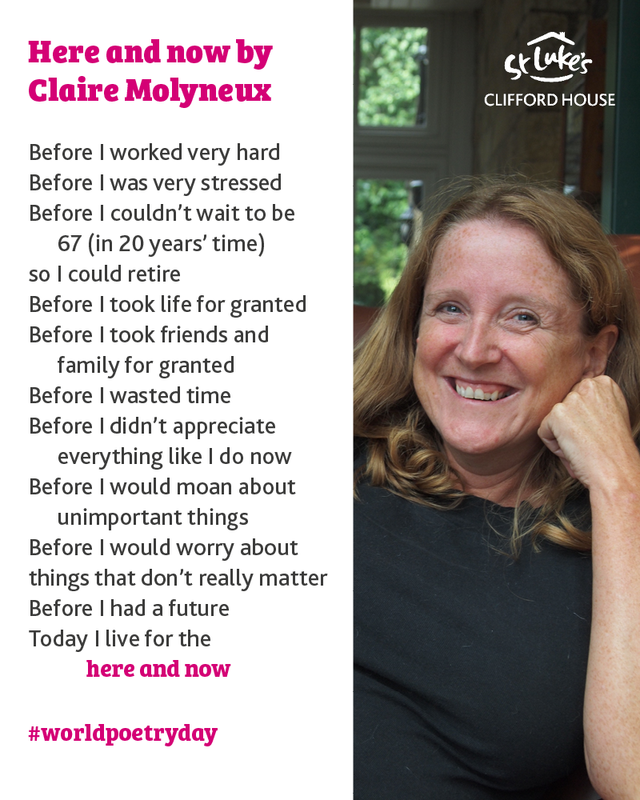 It’s World Poetry Day and today we’re sharing a poem by our client Claire, written in our Creative Writing group at Clifford House. We found this a very honest and thought provoking exploration of how her mindset towards living has changed following a cancer diagnosis. Our creative writing group runs on Tuesday mornings and is a friendly and supportive environment for you to explore your thoughts, feelings and memories through different methods of writing.